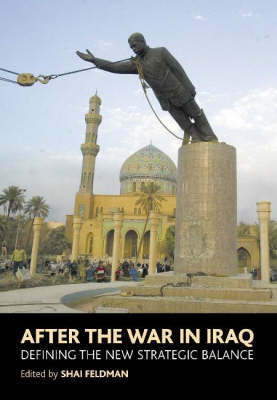 Focusing on the different dimensions to the war in Iraq launched in March 2003 by the United States, the essays here present concise and penetrating analyses, and explore the major implications of the war and their strategic, political and military contexts. Researchers from the Jaffee Centre for Strategic Studies at Tel Aviv University, experts in international relations, political science, strategic studies and political psychology, present an insightful picture of the war. The book contains a chronology surveying the International Inspection Regime in Iraq, 1991-2003, and the full text of 'The National Security Strategy of the United States of America', which should be regarded as the basis of the Bush administration's strategic rationale for the war in Iraq.